2 block logo green 3-part picture on back. 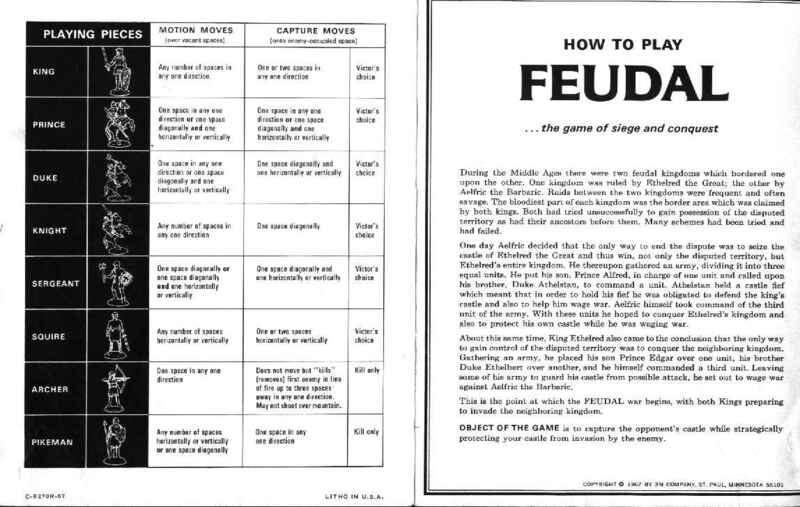 The early grayscaled version has different rules compared to the later ones. One has dark red brown color for one army; thats different to the standard colors; the second one includes the standard colors of pieces. 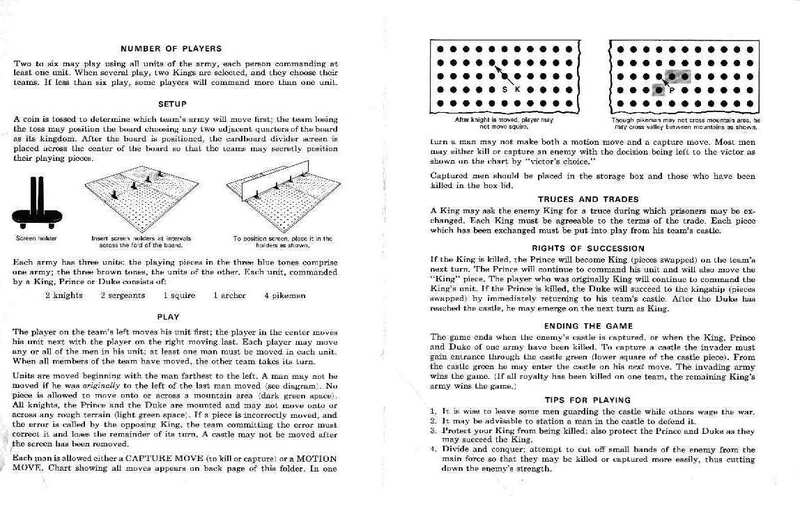 The moves page shows that to capture or slay is the victor's option for most pieces. The capture/slay moves are different numbers of squares than a regular motion move. The truce/prisoner exchange could add a lot of interest. In the newer rule, a truce is just a way to call a stalemate. There is a rule that pieces must be moved from left to right (according to their position before you start moving each turn). The left to right rule is just a suggestion in the newer rules as a way to remember which pieces you moved. The Rights of Succession include special rules such as royalty piece swaps after a royalty slaying. You can capture royalty instead of slaying them, but I suppose the Succession rule would be used for captures also.